The Eleventh Article of the Apostles’ Creed is The Resurrection of the Body. All of us must die because we have sinned in Adam. We as Christians should not fear death because we know that this is just place of testing, it is our exodus before reaching our Heavenly home with Christ, Our Mother, and His Angels and Saints, “Whoever lives and believes in Me shall never die” John 11:26. It is quite simple, when we die, our soul leaves the body. This is our time of probation and testing in our loyalty to God. Did I take the time that was gifted to me to praise, reverence, and serve God, or did I waste it? I know that I wasted a good portion of my life serving myself and my disordered appetites. It is only because of the prayers of others like my grandmother and mother that somehow I came back to the Church that I had abandoned as a young teenager. Don’t wait 20 years like me! Time is short! God is sooooo merciful and gives us sooooo many chances to turn to Him ; please don’t wait until it is to late. God wants to Bless ALL of His children, but He is a Gentleman ; He won’t come in unless He is invited. Invite Him into your life, and into your families life. Everything we have is from Him, and Him alone, EVERYTHING. The World is starving for TRUTH and something solid and real to grasp onto. I found answers to ALL of my questions here in the Catholic Church. The answers to life’s biggest and toughest questions are found in the writings and the “constant and very firm” teaching of Jesus Christ taught through His Church. 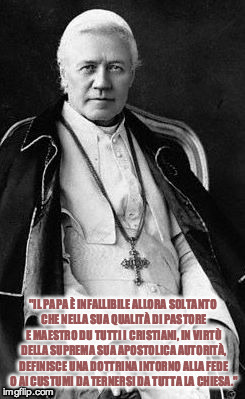 You will find the Truth in the Holy Scriptures and the Catechism of the Catholic Church, and also in the great writings of the Fathers of the Church, and from the writings of Saints like St Teresa of Avila, St John of the Cross, St Alphonsus Liguori, St Louis Marie De Monfort, Venerable Fulton Sheen, Servant of God Father John Hardon S.J., Blessed Elizabeth of the Trinity, and so many more. Back to The Resurrection of the Body. Once again, we must always be prepared for death because God keeps the time of our death hidden from us. This helps us to have a healthy respect and fear to always try to serve God a little better and a little more. It also helps to give ourselves over many times in life to God’s will and Providence until He calls us to our eternal destiny. Speaking of eternal destiny, after death we are immediately judged and God will reveal the results of our eternal destiny to us. This is the Particular Judgement that we learned about a few posts back. The body will stay in the earth until the General Judgement. This is the part that I have been trying to get to in this post. Learning about the Church and all She teaches is an amazing journey of wonder and awe. This topic absolutely excites me more than any other. I am fascinated by the topic of The Glorified Body. The topic of Our Mother Mary and this topic are probably the two that I love to read about, pray, meditate, and study the most. At the General Judgement our earthly bodies will be reunited with our spiritual souls and joined together once more. If we died in a state of grace then we will rise up like Jesus did on Easter Sunday; Glorious, Glorified, full of Brightness and Splendour, and we will be adorned with our merits for all to see! This may bring us to wonder what kind of qualities does one with a Glorified Body have? I love this part! Note: To remember the 4 qualities of a Glorified Body I use the acronym ISAB (Impassibility, Subtility, Agility, Brightness). It’s simple but little memory tricks like this really help with catechesis. Now come on people, doesn’t this excite you? This is what we have to look forward to! This is what God has planned for us, He wants us ALL to be in friendship with Him so that He can share Himself and this awesome destiny with us. We have to be BIG PICTURE CATHOLICS! We must look at the end-game! We are going to take a look at The Tenth Article of the Apostles’ Creed, “ The Forgiveness of Sins ” . Jesus means “Saviour” ! The Second Person of the Divine Trinity became man to save us from sin. No one is forgiven of any sin except through the merits that Jesus won for us on the Cross ; those merits He won for us have been personally entrusted to be dispensed through the One, Holy, Catholic, and Apostolic Church. The treasury of Christ’s Divine Graces are ALL dispensed through the Catholic Church. We learned earlier that the Church is the Universal Sacrament of Salvation ; that does not take away at all from the fact that the Church is also the Universal Sacrament of Penance. Jesus made sure to reveal to us how He would like for the Church to dispense His graces ; through the Holy Mass, Sacraments, prayer, and charitable works of the faithful. The Church is open to ALL who seek mercy and forgiveness. It is also important for each of us to ask the question “what we as human beings needed saving from?” Also, what EXACTLY did Jesus save us from? He saved us from eternal death in Hell ! This is the TRUTH! God is merciful and wills that all turn to Him for friendship. He forgives those who ask for forgiveness and those who make an effort at true repentance. No matter who you are, or what you have done, Jesus died for you and welcomes you back into friendship with him. Not only that, but Jesus transforms people from sinners into Saints if you participate with His grace! Sinners truly make great Saints ! I am no Saint, but I can honestly say that Jesus has TRANSFORMED me into a new, and better person than I used to be! I am living proof of Jesus’s Divine Mercy! I thought that God didn’t care about me because of how sinful I was ; I was so wrong! I had left the Church for 20 years, how could I come back? Well, He welcomed me home like the prodigal son and has continued to bless me ever since. I cannot say enough about how pleased God is to welcome a prodigal son or daughter home ; He is waiting to throw you a huge party right now! Heaven REJOICES when a sinner who has been living in sin turns to God, asks for forgiveness, and takes steps to sin no more! He helps us all through the journey of life with His Sacraments and Holy Mass. When I first came back to Church after 20 years, I would have to go to Confession 3-4 times per week and give humiliating confessions. Eventually the Divine Graces from going to the Sacrament of Confession, and attending Holy Mass, and actually having the will to want to change, transformed my life and my thinking! I want to please God now, not just myself. That doesn’t mean that I don’t still sin and make mistakes, of course I do, just ask my wonderful wife 🙂 . In ending I have to say that Our Lord died on the Cross and established the Church on Earth to save us from Hell. In dying on the Cross, He entrusted to the Church the instruments and channels of mercy that are necessary in order for man or woman to enter into Heaven. We have talked, actually typed and hopefully read, wink wink, much of what has been written on this blog about Our Dear Lord and His life and death. Now we need to look at the true historical event that took place on that First Easter Sunday! The Third Day He Rose Again from the Dead. I have to say, I love meditating on the Glorious Mysteries of Our Lord and Lady’s Holy Rosary, especially on this mystery in particular ; Jesus’s Resurrection. In the words on Father Fernbeck, ” can you just imagine, ” seeing Our Blessed Lord’s resurrection, actually seeing Him come out of that tomb in His Glorified state at that ! It truly is a mystery worth meditating and praying on with much regularity. So, as I have stated here before, this blog deals with the TRUE TEACHINGS of The One Holy Catholic and Apostolic Church, and this part of the catechesis is also part of our Faith. I cannot stress with enough emphasis that Jesus’s Resurrection is not just a strict mystery, but a historical ,reasonable, and credible recorded event that can be substantiated and proved through the many historic documents and witness testimonies that are still available to us today. As St Paul saids in 1 Corinthian 15:” And if Christ be not risen again, then is our preaching vain, and your faith is also vain.” We know for a fact that Jesus truly raised Himself from the dead by His own Divine Power, because of the testimony of His disciples and the hundreds of other witnesses that saw Him. If you do not believe this, than no reasonable sane person could ever believe in any recorded history or person that has ever existed or been written about at anytime in recorded history. We have much more historical recorded history detailing Jesus’s life, death, and resurrection than we do about any historical figure before or after His time on earth ; including Josephus among the Jews, Caesar, and Pliny among the Romans, and Herodotus, and Thucydides, Plato and Aristotle among the Greeks. So, it is a very reasonable, historical, and credible mystery to believe in Our Lord and His Glorious Resurrection. One other historical recorded proof just amazes and adds tremendous credibility to the truth of Our Lord’s Resurrection, it is the fact of the willing and courageous martyrdom of 11 of the 12 Apostle’s, and the many disciples and witnesses of Our Lord’s Resurrection . So many of the same Apostles and disciples who originally abandoned our Lord because of fear, most heroically went willing to their death for Him only after having seen Our Lord after He raised Himself from the dead. We know to this day where many of those Apostles and disciples are actually buried today! Yes, today, we can visit the Holy Relics of many of the first martyrs, many are in Rome at St Peters Basilica and all over Rome for that matter. People don’t willingly die for something they don’t believe in, they just don’t. Especially not the way so many of the disciples of Jesus did, who happily, joyfully, and willingly were martyred giving witness and true testimony to Our Risen Lord! We still have martyrs today, look at Syria and Iraq in particular, and please pray for our brothers and sisters in the middle east especially! Holy Week is a time of great penance and reflection. It is the most important time to reflect on Jesus’s approach to the Cross. As Jesus’s Passion approaches, it is a special time to reflect on what He did for me, my family, and the World ; how Jesus willingly chose to go through torture, humiliation, and execution for ll of us, knowing that many would turn their backs on Him. I think about the twelve Apostles and their last week with Jesus before His Crucifixion on Good Friday. I will contemplate the Last Supper, the Garden of Gethsemane, the Scourging at the Pillar, and the rest of the sorrowful mysteries. Like St Ignatius of Loyola suggests : I will try to imagine being at these actual places and take part in what happened. Look at Jesus’s hands as He turns the simple bread into His Body. Watch His hands as He holds the chalice of wine and turns it into His Blood. Watch Jesus wash the feet of His Apostle’s ; always teaching us through His Word and His action’s. Imagine the way Jesus felt knowing that Judas was going to betray him for thirty pieces of silver. Can you imagine? Betray your Creator, whom you just spent the last three years of your life with ? I apologize for not posting on Catechesis as much lately. The mission of this site has not changed,if anything, it has been strengthened and galvanized. Now, more than ever, it has become so glaringly obvious, that Catechesis in its most basic form, is so desperately needed. Not only is Catechesis needed for the lay faithful, or the potential convert or revert, but also for many, and I say many Catholic priests and their superiors. I will do my best to provide sound Catechesis on a regular basis. Please, print, copy, email, send whatever information from this site that you find useful for yourself, students, children, parents, priests, Bishops…… Use whatever you like from this site to help evangelize and catechize the population. Just give Canadian Catechist a little plug, that’s all I ask :-). And yes, I do use emoticons lol!!! Once again, sorry for the delay in posting on Catechesis. I have had a couple of minor health issues that I have been dealing with lately. Nothing serious, but definitely enough to slow me down a bit. This month, I am also preparing for the thirty-day Ignatian retreat of the Spiritual Exercises. So please keep me in your prayers, I am going to need them. The Spiritual Exercises start on November first for myself and some of the other members of the Marian Catechist Apostolate who are working towards becoming Consecrated Marian Catechists. I hope others who read this site consider becoming Marian Catechists. Let us begin with the first part of the article, “He ascended into Heaven“. Because of the fact that Jesus now has a glorified body ( which in itself, has many amazing characteristics ), he was able to ascend into Heaven by use of His human power, as well as His Divine power. Jesus ascended by His own power. He was not taken up into Heaven like Elias from the Old Testament here in 2 Kings 2: “And as they went on, walking and talking together, behold a fiery chariot, and fiery horses parted them both asunder: and Elias went up by a whirlwind into heaven.” So, we believe as it says in the Catechism of the Council of Trent that “ we believe that Christ ascended into Heaven as God and man by His own power.” You see, because Jesus now has a glorified body, he could travel at the behest of His soul. He could literally go wherever His Soul wished. We call this particular characteristic of a glorified body, “ Agility “. The agility that Jesus’ glorified body now has, gives him the ability to move at the speed of light at the command of the will. Their are some other really awesome characteristics that a glorified body has that I’m itching to tell you about, but they will have to wait until I post on the ” the eleventh article of the Apostle’s Creed “, which is coming soon! Some may be wondering, or ask the question, ” why did Jesus go to Heaven” ? Why didn’t Jesus stay here? He could have stayed if He chose to as the God and man, right? To answer the last question first, Jesus is here as God and man, hidden under the species of bread and wine in every Catholic Church in the Holy Eucharist. To answer the question of why did Jesus go to Heaven. He told us exactly why He went in John 17: “But I tell you the truth: it is expedient to you that I go: for if I go not, the Paraclete will not come to you; but if I go, I will send him to you. ” So, when He goes to Heaven, Jesus will send the Holy Ghost to help to strengthen and confirm the Apostle’s in their Faith. That is not all, their is another very important reason that Jesus went to Heaven. Also from the Gospel of John Chapter 14: ” In my Father’ s house there are many mansions. If not, I would have told you: because I go to prepare a place for you. And if I shall go, and prepare a place for you, I will come again, and will take you to myself; that where I am, you also may be.” Jesus is going to prepare a place for His followers. So far, just from this little bit of text from the sixth article of the Apostle’s Creed we have a lot of catechetical teaching. Their is more. Jesus didn’t go to Heaven alone, oh no, He brought others with Him! Who did He bring? He brought the souls of the just whom He had delivered from the limbo of the Fathers. Those whom He preached to when He “ descended into hell “. All the Old Testament Saints including Adam and Eve, St John the Baptist, St Samuel, St David…..went with the Most Glorious King of Heaven and Earth into Heaven that very day, exactly 40 days after His Resurrection. How Do We Practice What We Learn? In this post I am going to be not so much catechizing on What we believe, but more on how we put what we believe into practice. So, how we can practice and grow in our faith. It is of course an excellent practice to learn as much as one can about our beautiful Catholic Faith, but we must put this knowledge and faith into practice, to truly grow into a deeper more fruitful relationship with our Lord and Savior Jesus Christ! All Catechesis, must be Christ-centered!!! Being a member of the Marian Catechist Apostolate demands that we not just grow in our doctrinal and catechetical learning, but also spiritually. We need to have a balance of doctrinal and spiritual development, that balances ones complete make up as a Marian Catechist and as a member of the Church Militant on earth. I believe it can become a temptation at times to believe because we are learning about God, that we are getting to know God in a better way. I have to say that this is not always true. In fact, many of the so-called brightest theologians and scripture exegetes have turned out to be heretics, apostates and in some cases even atheists! One that immediately comes to mind is Martin Luther and John Calvin, their are many , many more. In fact, they are in our midst today ,and not just an anomaly of the distant past. We can actually put into practice what we learn in the Articles of the Apostle’s Creed. How you say? Certainly, on Sundays and our Holy Days of obligation we attend Mass faithfully. Even more, if at all possible, we should be attending Holy Mass as often as possible, not just limited to the Holy Days of obligation. Their are other pious practices that will help us to grower closer to our Lord and His Holy Mother. The daily praying of the Holy Rosary is actually praying, and meditating on the Gospel itself! Another practice that Marian Catechists do is to pray the daily Angelus at least two times a day. So on Fridays, in commemoration of Jesus’ Passion and Death on the Cross, we are obliged to perform some act of penance or mortification. Ouchhh!!! Did you say mortify? Yes, I did! This does not mean, nor do I suggest that you whip or flag yourself half to death. Some people still may do this, but any penance or mortification should also be discussed with one’s spiritual advisor! I am only touching on a couple suggestions. This can be as simple as abstaining from meat, or having a computer fast for that day. It is meant to help unite yourself with our Lord and His Passion and death. A small token to add to the Mystical Body in Heaven and Earth. It also helps us to aquire virtue, especially in temperance. Practicing penance and mortification helps by bringing our unruly passions into check through practice. Remember, we “practice our Faith”. I have to admit, I have a sweet tooth! It is a tough one for me, but its easier when I offer it up to our Blessed Lord ! It helps to bring that particular passion into check. Of Course, we cannot forget the day dedicated to our Lady, Saturday. Saturday is the day that we honour the Blessed Virgin Mary. We honour our Lady, whose Faith remained unshaken on that Holy Saturday, and never faltered. She had Faith and Hope that Her most Holy Son, Jesus Christ would indeed rise from the dead, as He said He would. In honour of Her, we can light a votive candle for Our Lady’s intentions, or honour her by just spending a little more time meditating on the Mysteries of the Holy Rosary. For those who have a devotion to our Blessed Mother, I might suggest the book True Devotion to Mary by St Louis Marie de Monfort . This book is a masterpiece of Marian devotion and is a favourite of mine and was a favourite of St John Paul II. His papal motto “Totus Tuus”, meaning, all yours, was borrowed from St Louis de Monfort! may Almighty God Bless us, and protect us from the World, the devil, and ourselves!!! Now, for those who may not know, we as Catholics did not just make-up catechesis and catechisms. In fact, catechesis takes its roots from Judaism. The Hebrews taught catechesis in the home where the father would primarily teach the Jewish religion to his children. The Hebrews also taught religion in school. Thirdly, the Hebrews would learn about their faith in the synagogues and the Temple by the priests and Levites and rabbi’s. Now, does any of this sound familiar? We still have a similar system today ; however, we need to look at the order again. Where we as Catholics are failing, yes I said failing, is in teaching or catechizing our children in the home ; especially the fathers! It is vitally important for parents to be THE PRIMARY EDUCATORS of CATHOLIC EDUCATION to their children. As the child grows, so do the lessons on catechesis. A child’s understanding of their faith must grow in keeping with their secular education. Otherwise the faith, as we have all seen from the emptying Churches, will certainly be abandoned as a remnant of their childhood. Where do we find the teachings of the Church? I thought you would never ask… Here on this website is a good beginning, but I would suggest that every family own at least one good Church approved Catechism. My favourite Catechism is The Catechism of the Council of Trent . It is easy to read and very straight forward, and it leaves no room for ambiguity or confusion. Some catechisms do lead to confusion, so stick with the good ones, I will list a few here.Please don’t just go and buy any book that says catechism on it, some of them are just downright terrible. Any books at the Marian Catechist store are very good especially if authored by our founder, Servant of God Father John Hardon. He actually has a question and answer Catholic Catechism that is excellent to start with, and can be kept in your pocket or lunch box to be read on breaks or lunch… wink, wink! Apologetics and Catholic Doctrine by Archbishop Michael Sheehan is also an excellent Catechism and gets into more intermediate Catechesis. It is a great read and re-read, mine is highlighted from front to back! The one that my wife reads, but I would also highly recommend, especially for those that aren’t big on reading is My Catholic Faith . This is especially good to use with children and converts to the religion, it is a wonderful Catechism. Of course, last but not least is the official Catechism of the Catholic Church . It can also be found online at the Vatican website here http://www.vatican.va/archive/ENG0015/_INDEX.HTM. Some of these books are not available on the Branches website yet, but we do have them at the store, so please come in and take a look!!! Why is Catechesis so important in these times? Once again, glad you asked. Because the younger generation hasn’t been properly catechized at home first, at school second , or at Church in many instances. The flock has scattered, and is leaving or has left the Church en-masse! That being said their are still small faithful pockets where Catechesis thrives, but we need much more of that. That is where the lay catechist comes in, like you and I. I can’t and I won’t get into exactly how things went very wrong in many places throughout the world, especially here in Canada and catechesis changed from God centred to self centered, but somewhere that shift did indeed happen. Now, we must focus on the solution ; what we need to do together is get back down to the Truth of Jesus Christ and His One Holy Catholic Apostolic Church!!! As our International director at the Marian Catechist Apostolate His Eminence Cardinal Raymond Burke says, “ catechesis is a school of faith that is a deepening of Christian life in all its aspects: knowledge , prayer and worship, and witness.” Cardinal Burke also states , ” the object of catechesis, communion with our Lord Jesus Christ, and, therefore to present the Catholic faith in it entirety, especially the entire truth of the mystery of Christ.” Did the Cardinal say the entire truth? I think he did say the entire truth! I couldn’t have stated it better myself. We need the Truth and the whole uncorrupted Truth, not just the teachings on heaven. The World needs the Truth, it is starving for the Truth. The world thinks that Oprah Winfrey is a spiritual teacher, come on people! People are seeking for the truth in all the wrong places, we have it right here in the Catholic Church. We need to share the Truth with others and be that arrow or sign pointing to Jesus Christ and His One Holy Catholic Apostolic Church!!! ….. So please, parents and fathers of young children, it is never to early to start catechizing your children. Secondly, for those of you who are teachers, it is vitally important when teaching the Catholic Faith to children or students of any age , that your teaching is sound and faithful. Thirdly I will address the Pastors……… please know your faith inside and out, all of it, so that you can properly hand it on to the next generation of future catechists and maybe a future parent, priest, bishop or who knows, maybe oneday we will have a Pope from Canada :-). If you have any questions about the Church and Her teachings on Holy Scripture and Holy Tradition, please leave a comment or send me an email. One more thing, don’t forget to subscribe to www.canadiancatechist.com . What Jesus teaches us in the 5th Chapter of St Matthew is the Truth. Here is some great Catechesis from the Master Catechist Himself. Here are a few verses that I hope will inspire you like they do to me. So get out there and share your faith with the world ! “ You are the salt of the earth. But if the salt lose its savour, wherewith shall it be salted? It is good for nothing any more but to be cast out, and to be trodden on by men. You are the light of the world. A city seated on a mountain cannot be hid. Neither do men light a candle and put it under a bushel, but upon a candlestick, that it may shine to all that are in the house. The Third day He rose again from the dead!!! We have talked, actually typed and hopefully read, wink wink, much of what has been written on this blog about Our Dear Lord and His life and death. Now we need to look at the true historical event that took place on that First Easter Sunday! I have to say, I love meditating on the Glorious Mysteries of Our Lord and Lady’s Holy Rosary, especially on this mystery in particular ; Jesus’ Resurrection. In the words on Father Fernbeck, ” can you just imagine, ” seeing Our Blessed Lord’s resurrection, actually seeing Him come out of that tomb in His Glorified state at that ! It truly is a mystery worth meditating and praying on with much regularity. So, as I have stated here before, this blog deals with the TRUE TEACHINGS of The One Holy Catholic and Apostolic Church, and this part of the catechesis is also part of our Faith. I cannot stress with enough emphasis that Jesus’ Resurrection is not just a strict mystery, but a historical ,reasonable and credible, recorded event that can be substantiated and proved through the many historic documents and witness testimonies that are still available to us today. As St Paul saids in 1 Corinthian 15:” And if Christ be not risen again, then is our preaching vain, and your faith is also vain.” We know, for a fact that Jesus truly raised Himself from the dead, by His own Divine Power because of the testimony of His disciples and the hundreds of other witnesses that saw Him. If you do not believe this, than no reasonable, sane person could ever believe in any recorded history or person that existed for that matter, that has ever been written about at almost anytime in history. We have much more historical, recorded history detailing about Jesus’ life death and resurrection than we do about any historian before or even after His time on earth including Josephus among the Jews, Caesar and Pliny among the Romans, and Herodotus and Thucydides, Plato and Aristotle among the Greeks. So, it is a very reasonable, historical and credible mystery, to believe in Our Lord and His Glorious Resurrection. One other historical, recorded proof just amazes and adds tremendous credibility to the truth of Our Lord’s Resurrection , is the fact of the willing, courageous martyrdom of 11 of the 12 Apostle’s and the many disciples and witnesses of Our Lord’s Resurrection . So many of the same Apostles and disciples who originally abandoned our Lord because of fear, most heroically went willing to their death for Him only after having seen Our Lord after He raised Himself from the dead. We know to this day where many of those Apostles and disciples are actually buried today! Yes, today, we can visit the Holy Relics of many of the first martyrs, many are in Rome at St Peters Basilica and all over Rome for that matter. People don’t willingly die for something they don’t believe in, they just don’t. Especially not the way so many of the disciples of Jesus did, who happily, joyfully, and willingly were martyred giving witness and true testimony to Our Risen Lord! We still have martyrs today, look at Syria and Iraq in particular, and please pray for our brothers and sisters in the middle east especially! It is a Dogma of the Church, ” De Fidei definita ” that Christ’s human nature was passible. Jesus chose to adopt passible flesh in order to make atonement for our sins, also to demonstrate the fact that He did have a human nature, and also to be a model of patience for mankind. The word passible isn’t a word that might be familiar to all. A quick definition of passible is “capable of feeling or suffering; susceptible to sensation or emotion.” Once again, Jesus chose and willed to suffer and die for us to make satisfaction for the sins of mankind. The reason I bring up the topic of Christ’s Capacity for Suffering is because it is important for us to realize what our Lord and Saviour did for us. His Passion, from the last supper to the Cross was all for us. Jesus was mocked, spat on, beaten, tortured over and over again and He could have stopped it at any moment, but He did not. He willingly, lovingly accepted all of the suffering to atone for ALL of OUR SINS ! How quickly do I flee from suffering, the smallest amount. I should remember what our Lord endured always, and ask Him to accept any suffering I have and use it to help convert the world to Our Lord! Do not waste your suffering my brothers and sisters in Jesus Christ, offer it to the Lord and His Immaculate Mother for the conversion of the world to the Catholic Church! Jesus didn’t have the distractions of mind that you and I have, if anything Jesus felt perfectly every single blow by the Roman guards and Jewish Temple police. He felt every thorn and every sensation of the pain that coursed through His precious body. When His precious body was scourged at the pillar, He experienced every lash of satans whip much more than you or I could because of His innocence. The wood of the Cross that He willingly chose to carry to the spot of crucifixion, would He have not experienced the weight of that cross like no other, of course. Jesus truly experienced every single moment of His Passion in the true present like no other, He experienced every feeling of pain, loss and suffering. He fully experienced the human emotions of being falsely accused, abandoned by His best friends, how it is to be jailed and tortured. He was made fun of, and mocked in the cruelest possible way. He did all of this for us. How do we pay Him back? We can’t!